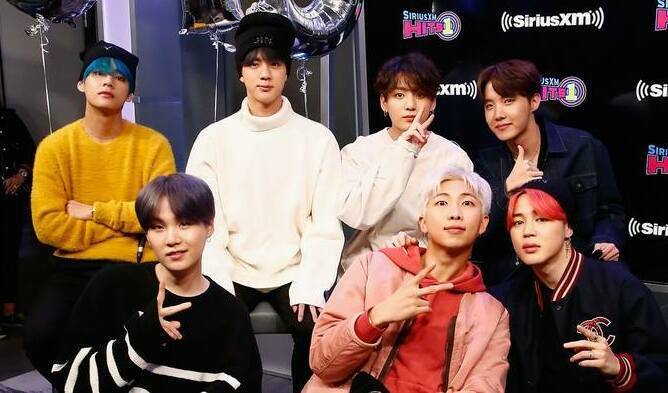 BTS is set to attend the Grammy Awards this year and fans have been buzzing about in excitement. The K-Pop idol group will be presenters of an award while also having been nominated for ‘Best Album Design’. The Staples Center recently uploaded a photo that seems to have leaked where the idol group will be seated during the awards event while also revealing which US celebrities would be seated next to them. Camila Cabello, Dolly Parton, Miley Cyrus, Anna Kendrick, and Chris Stapleton are going to be seated next to BTS. And on the right side behind them behind Camila Cabello seems like Julia Michaels, but can’t confirm since the name cannot be seen. The Grammy Awards is scheduled to take place on February 10th 8 PM EST and will be aired on CBS this Sunday!